Equity investments account for roughly 70% of the allocation of the massive fund, which has stakes in more than 9,000 companies worldwide, including the likes of Apple Inc. AAPL and Microsoft Corporation MSFT. Both Apple and Microsoft currently retain a Zacks Rank #3 (Hold). 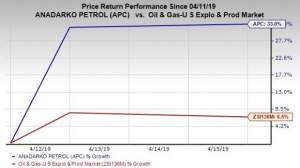 Norway is set to drop 134 upstream energy companies, including top U.S. explorers like Apache Corporation APA, Anadarko Petroleum Corporation APC, EOG Resources, Inc. EOG and Marathon Oil Corporation from its wealth fund. The list also includes several Canadian biggies, such as Canadian Natural Resources Ltd. and Encana Corp. However, the fund will hold on to the integrated oil majors like BP plc BP and Royal Dutch Shell plc RDS.A.